TIFFANY WAS READY TO HIT WHEN BEYONCE GOT BIT!!! Now, we all know that if we are somewhere and our girl have a problem, then we all have a problem, what's happenin'!?! And we see, according to Tiffany Haddish, that the same girl rules apply in Hollywood as well. 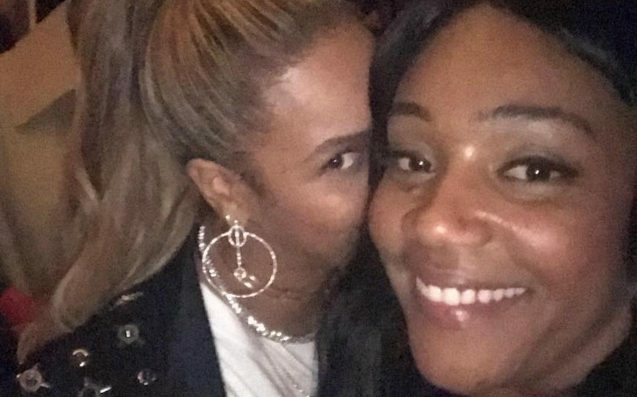 Picture of Tiffany Haddish and Beyonce' at the after party Haddish says Beyonce' getting bit in the face was the reason she was about to whoop somebody head..
Now, it was alleged that Mrs. Carter's camp was contacted to clear up if this was true or what, and no response is what is reported. Now, we all know that Beyonce' made mention in her new song With DJ Khaled and Hubbae Jay-Z about if you are going to part with her you are going to need a NDA to part wit' her. This verse came shortly after Tiffany spoke in another interview about some of the details of this same party. Tiffany, boo, I loooooovvveee you and your glow up, but babes, you might want to maybe...just a little.... shut up.... just saying, love you, mean it!